New York City born and raised Frank Kohl first came to prominence in his award winning high school band. In 1976, Kohl graduated with honors from the Berkley College of Music. He was influenced in his early career by musicians such as George Benson and Wes Montgomery. In 1990, Kohl moved to Seattle where he began and continues to regularly perform at some of the areas more noted Jazz venues. "Invisible Man," Kohl's third release, is a collection of silky smooth jazz cuts performed in the traditional style. 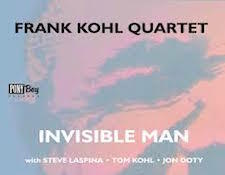 With Kohl on guitar, and joined only by a bass, piano and drums, the quartet delivers eight tracks of very enjoyable, highly melodic, sometimes high energy, sometimes swing and sometimes introspective jazz performed by a skilled guitarist and quartet. I'm not really sure, but as far as I know, I've yet to run across a more eclectic Jazz band in recent memory. Comprised of artists such as a computer consultant, Jacksonville University students, and maybe most improbably, a baker's apprentice, Blue Muse weaves a diversified sound with elements of swing, funk, Latin and pure straight up traditional jazz. Of the seven tracks, four are original compositions and three have original arrangements. What the listener will hear is both complex and simple arrangements and instruments blending seamlessly together. 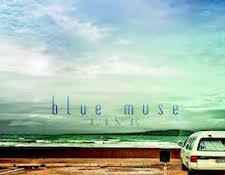 From soft, subtle interludes to soaring melodies, "Blue Muse Live" delivers. In the early 1980's, one of his sons introduced Dr. Herb Silverstein to jazz. He was so taken by the genre he set time aside from his normal duties as a renowned ear surgeon, inventor, lecturer and philanthropist to study Jazz. 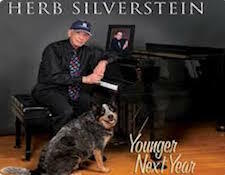 To date, Silverstein has released thirteen albums of traditional jazz. What makes his music so special was the time he spent early on studying jazz composition. He not only understands chord changes and patterns, he also has the creative and improvisational skills to assemble a work that is just highly listenable. Perhaps most impressive, Dr. Silverstein travels extensively lecturing on techniques to prevent hearing loss. His research center in Florida also works with musicians with whom hearing issues are so prevalent. "Younger Next Year" is straight ahead, traditional jazz and was inspired by a book of the same title aimed at health and fitness. This is my second review of a Dr. Silverstein release and I'm not sure which is more impressive, the music or his work in his given profession. Starting with the decidedly Greek theme of the CD jacket, to the introductory poem about Greek Gods and myths, Beat Function never fails creativity and inspiration. This Swedish Jazz group delivers fifteen tracks of a blend of high octane jazz and large scale sound, including the opening spoken poem as a track. They blend soul, funk and yes, even modified rap sprinkled in for good measure. This is a stunning work by a group I have come to enjoy very much. Olympus is my third Beat Function work to be reviewed and also the third to be copied to my music server. 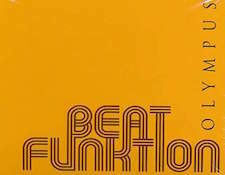 If you have ever been curious what Swedish up-tempo, contemporary jazz sounds like, listening to Olympus by Beat Function is a really good place to start.